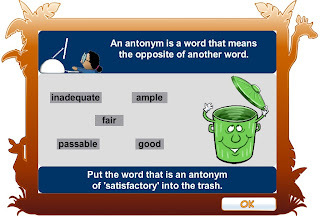 ZooWhiz is an online website that makes learning fun! Maths, Reading, Word Skills, Punctuation, and Grammar are the skills that are practiced in the form of fun, engaging games. The target age is 5-15 years old and while the children play the games they are able to "collect" animals for their zoo with the points and coins that they earn. There is a free zoo keeper account and you can also upgrade to the Premium account which currently costs $14.95 per year. ZooWhiz is still being developed and new content is being added all the time. 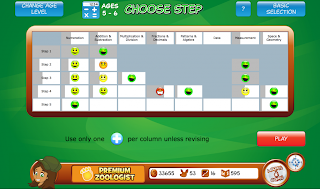 Choosing a "zoololgist" makes it easy for each child to individualize the game specifically for them. 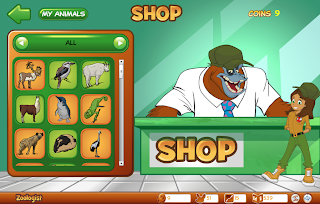 ZooWhiz also has the option for American or British spelling, units of measure, age, grade level and currency so you can truly customize each game to fit your childs needs. Another great feature is the FREE Parental Management Account. Parents can access progress reports that give detailed info about how their child is progressing in each area. In the Learn and Earn area your child plays learning games and then earns coins. The coins can be used to purchase animals for their zoo and then they get to learn more about the animals that they have purchased. Like info about their habitat, what they eat, they can learn if the animals is endangered or maybe even extinct and some are mythical creatures. Kylan was excited to learn more about the rare animals like the dinosaurs and even "purchased" a Korean Dragon for his zoo! Makenzie is my 12 year old and she seemed to think this was a little young for her but she did like the zoo aspect of the game and said that she would have really liked the colors and games when she was a little bit younger. Kylan my 10 year old thought it was AWESOME mom! He has wanted to be a zoo keeper for quite a while so this really sparked his interest and I noticed that he was even playing when it wasn't computer time for our homeschool day. I recommend this product for anyone wanting a fun, innovative way to add some more reading, math and language arts skills into their classroom or homeschool.